I’m coming right along on my Lily of the Valley. 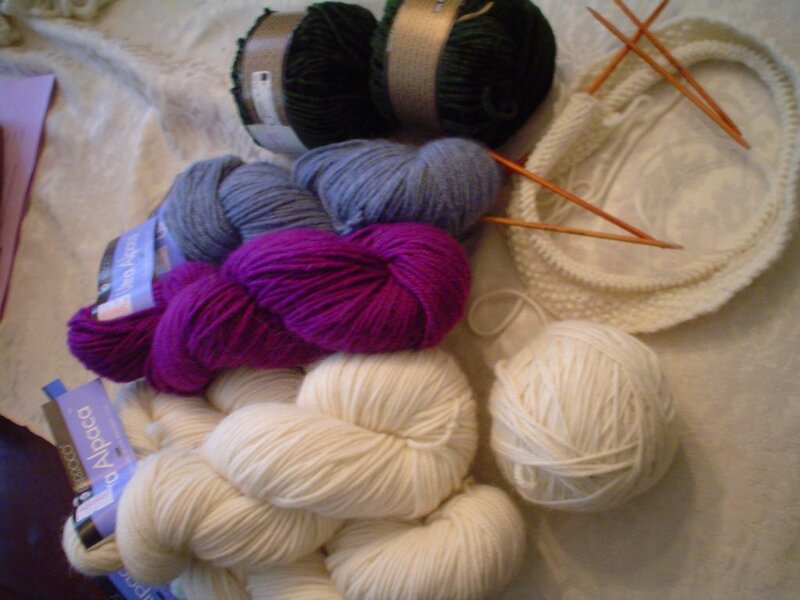 I need to have 7 body stitches plus the border stitches – 15 on each border makes 30 – so 37 stitches altogether. I am down to 158 body stitches. That means I only have 302 rows to go. Currently I am trying to do 8 rows a day which takes me about an hour and a half. I think I need to be doing more rows per day right now. I want to have this finished because I’d like to enter it one of the competitions at Rhinebeck. Should I be panicking? 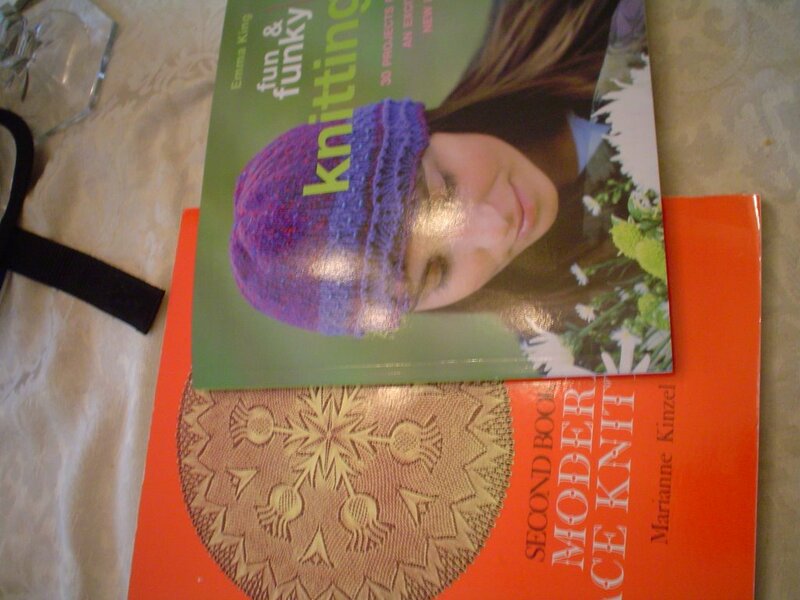 Should I be staying up through the night knitting? Maybe I should start knitting 12 rows per day. On to less stressful thoughts. I got some new stuff yesterday. Some came in the mail and some came from Stitch in Time in Howell, Michigan. I got two books. One I’ve been wanting, and one was a surprise purchase because I liked a lot of the patterns. Sorry about the sideways pictures. I’m still working on figuring all of this stuff out. Here’s what I got from The Websters. These are the accessory sets for both the Dale Salt Lake City and the Torino Olympic sweaters. I got the yarn from them a long time ago for both sweaters. 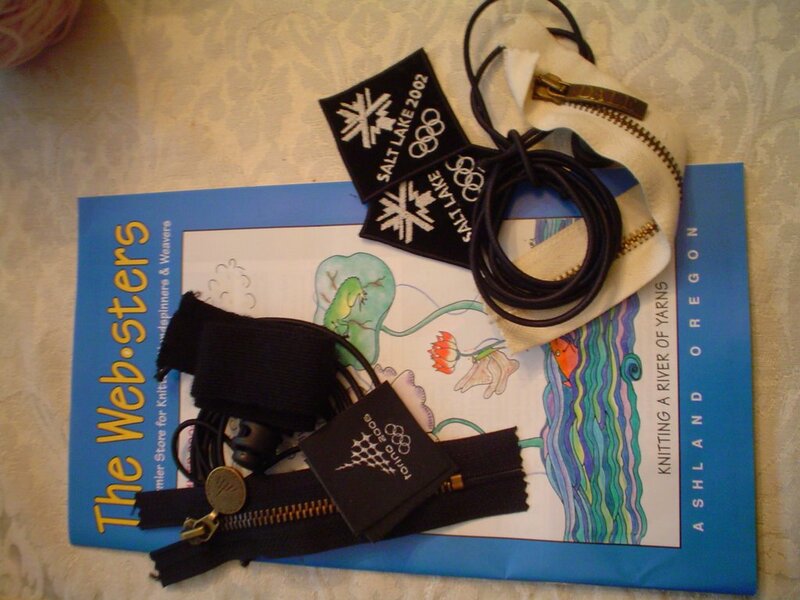 I didn’t want to make them without the patches and correct zippers and The Websters was the only store I found that was even willing to try to find the Salt Lake patches for me. I will definitely be ordering from them again because of their great customer service. They also have a cute little catalogue so check them out. I also bought 6 skeins of Berrocco Ultra Alpaca. I wanted to make a hat for Brittney before she goes back to school and since Maggie and Ryan were with me they wanted one too. I’ve already cast on for Brittney’s hat on my new…. Holz and Stein Rosewood Needles. I already had two tiny pairs for lace but I found out that Yarn Heaven had some so I called and they were happy to send me 3 new pairs including the size 4 mm I need for Brittney’s new hat. Also in the picture are two balls of Touch Me. I’m slowly collecting the balls of Touch Me for a very indulgent project. 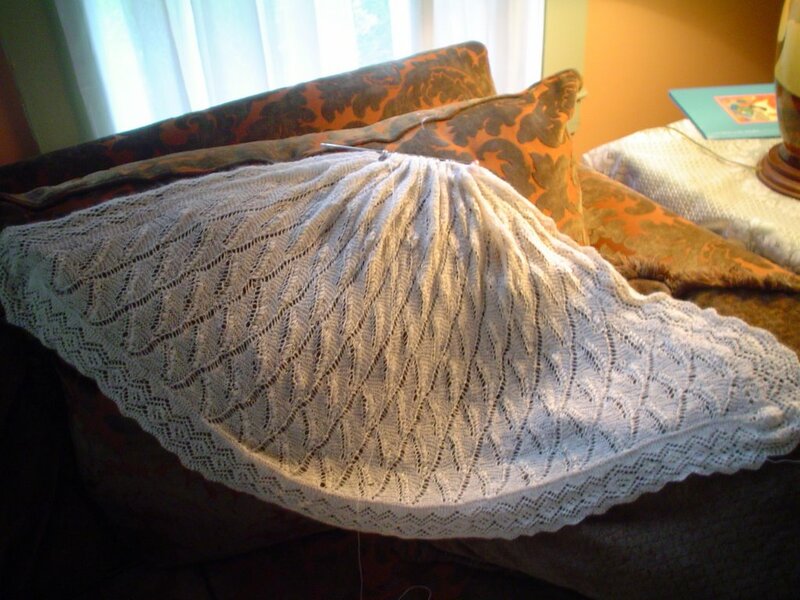 I need 2 balls of 10 colors and another 10 balls of 10 colors to make the fabulous throw which is the last project in the book Knitter’s Stash. In case you need to know, that’s 30 balls altogether. If I bought all of them at the same time it would cost a small fortune. If I buy them 2 at a time and then knit this wrap out of my stash it will be free, right? Ahhh, Touch Me. I just bought a few balls myself. That project you are saving up for is gorgeous! !